Custom lake view home w/great room, stone FP & cathedral ceilings. 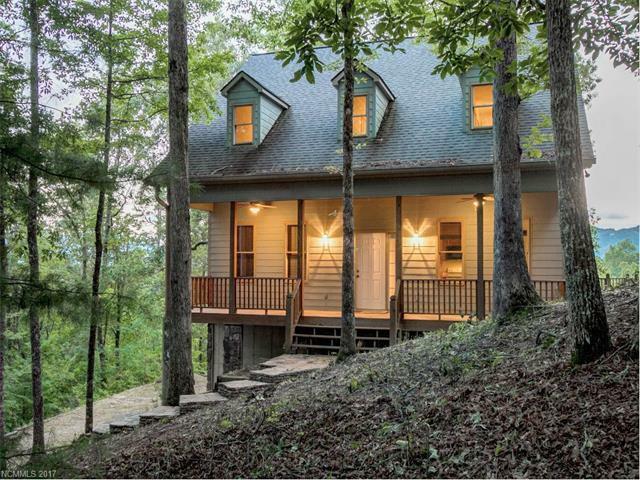 Expansive deck to enjoy spectacular views of Fontana Lake & Nantahala Mtns. Large kitchen w/lots of cabinets, large foyer & half bath. Main floor has spacious Master BR, w/walk-in closet, walk-in shower, double vanity & access to the deck. Upstairs has 2nd Master BR plus 2 guest BRs. Lower level has 3-bay garage, workshop & bonus room. Fontana Lake Estate is gated community. 1300 acres w/lakefront marina plus lots of amenities. Sold by Berkshire Hathaway Great Smokys - Bryson. Offered by Berkshire Hathaway Great Smokys - Bryson. Copyright 2019 Carolina Multiple Listing Services. All rights reserved.